Using your hands, squeeze spinach until dry, forcing out as much water as possible. Mix the spinach with feta, onion, garlic, olive oil, some salt and pepper. 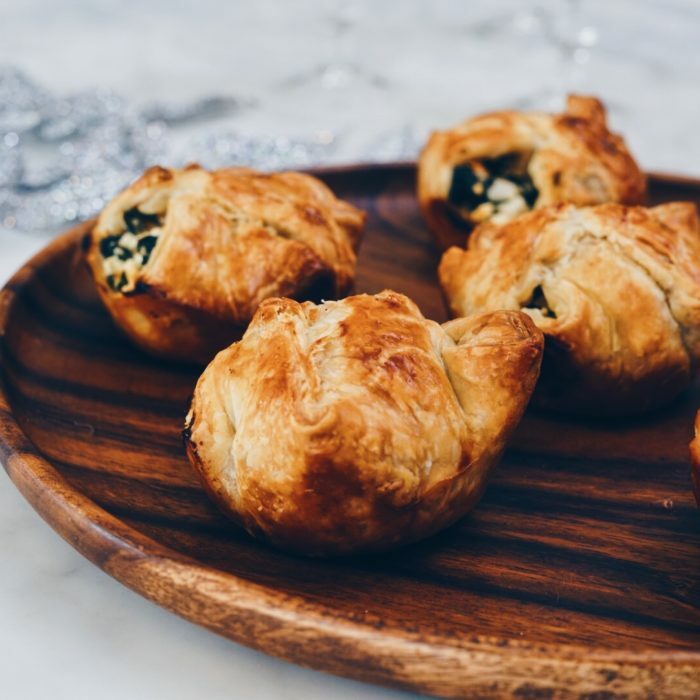 Cut the puff pastry into 6 squares an place them in a greased muffin cups pan. Divide the filing amongst the cups and fold the pastry over the filling, pressing the corners together to meet in the center. Beat the egg and brush all the puffs with the egg wash. Bake for 20-25 minutes until the pastry is golden brown. Transfer to a wire rack and let them cool.